Holly, outside The Plaza Hotel. 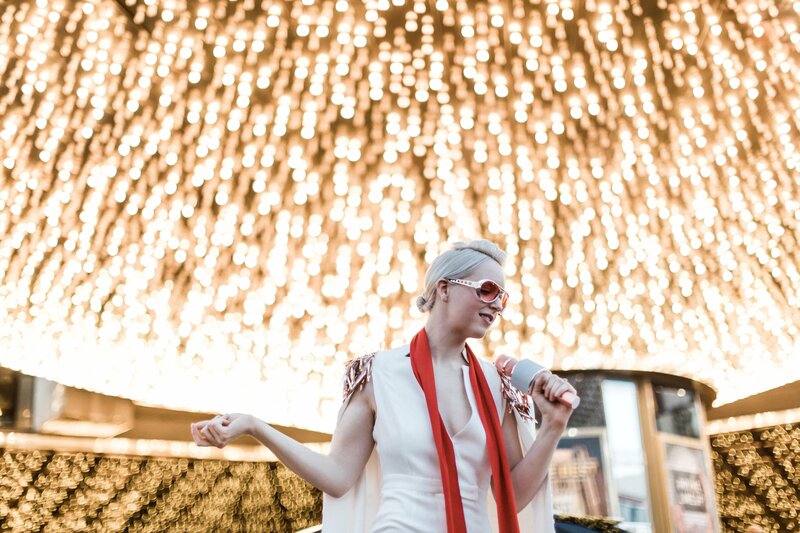 Pure Light Creative captures Holly as Elvis! Singing vows included.